Halloween is all about expressing a different side of your personality. It’s about getting imaginative. It’s about getting creative. 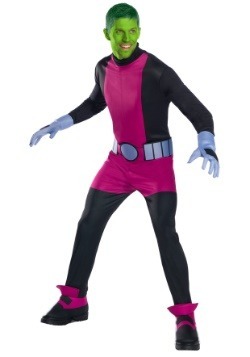 These things call for a costume that stands out from the masses. It calls for unique costumes that will stand up for more than one wear. This spooky season, treat yourself to a costume that you’ll be able to wear again and again. A costume that you can tweak so that it can fit your Halloween character to a T.
That’s where our exclusive Made by Us costumes come in. 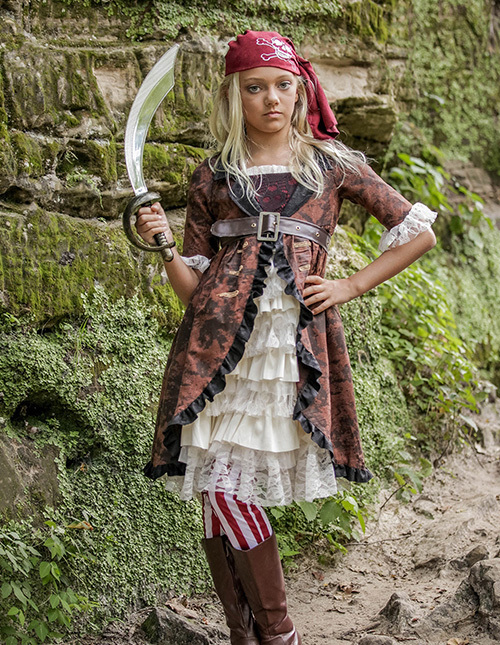 From rough and tumble kids playing pirate to cosplaying adults, everyone loves these looks. When scrolling through these costumes, you’ll notice flattering cuts and unique patterns, all put together by our (dare we say) genius creative team. They work together to bring you inspired quality Halloween costumes that’ll have you flaunting those trick-or-treat photos for years to come! 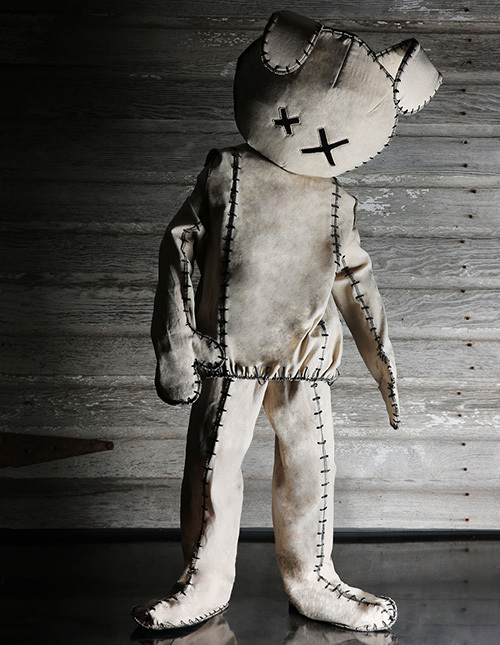 While we love a great Halloween costume, we think a garment that's made for only one use is a bit of a bummer. That's why we focused on quality when we started making our own exclusive costumes. We handpicked our fabrics. We designed our own patterns. We had friends and family try on costumes and tell us, truthfully, what they disliked, liked, and absolutely loved. 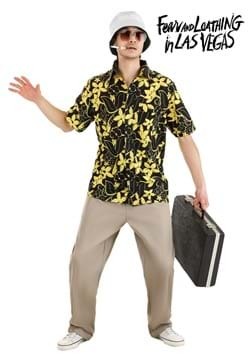 That's why our costumes will stand out from anything you'll find at a store. You'll find real buttons, realistic fur. And get this, choose the right look and you will even get pockets! 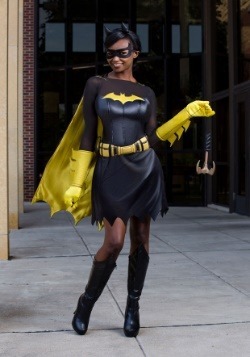 As costume enthusiasts, we think your awesome costume should last more than a night. If you agree, scroll on through and find the look that fits you just right! Each project begins with a passion for true quality—embroidered patches, faux fur cut with care, and hand-selected fabrics that are as durable as they are comfortable. Those are just a few examples of how much craft and creativity we put into each and every product. Just for you. No matter how much time it takes, our goal has always remained the same—to create products that inspire life’s best moments—the big, the small, the funny, the spooky, and the sweet. The moments we all cherish. That's Made by Us. Wonderland is a, well… a wonderful place. There are so many choices for you and your family. Maybe you’ve got a little girl who’s going to get into character as soon as she slips into our Supreme Alice costume. The dress looks like it came straight out of an illustration with a high-quality fabric that keeps the puffed sleeves and swirly skirt perky. The apron, hem, and collar are trimmed with gorgeous white lace that stands out from costumes that are of lesser quality! 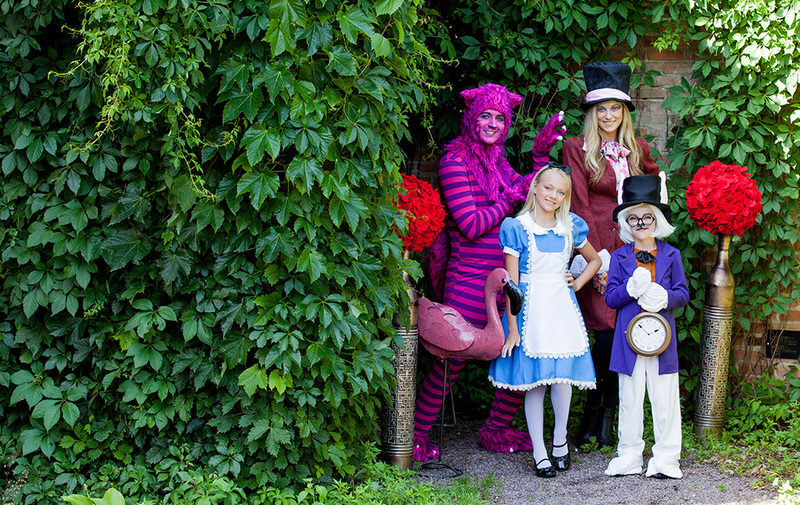 Our other Wonderland characters are pretty darn rad as well. Feeling a little catty? Our adult Cheshire cat costume is comfortable with a loose fitting bodysuit that’s finished off with a shaggy hood, mitts, and a tail designed by our very own creative team. Looking for a unique take on the Red Queen’s right-hand bunny? Our kid’s white rabbit costume is looking dapper with a sleek coat and top hat with fuzzy ears, mitts, and bunny feet. And of course, no tea party can be complete without the Mad Hatter. We have Mad Hatter costumes for men, women, and kids alike but the featured look is extra elegant with a dramatic lace cuff around your wrists. 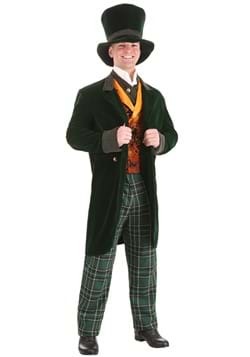 The deluxe Mad Hatter costume has a fashionable oversized bow at the neck, fingerless gloves, and a fuzzy hat that just screams unhinged hatter. When you're looking for quirky, unique Wonderland style, exclusive costumes are always the right choice! Take on for the team… a picture that is. 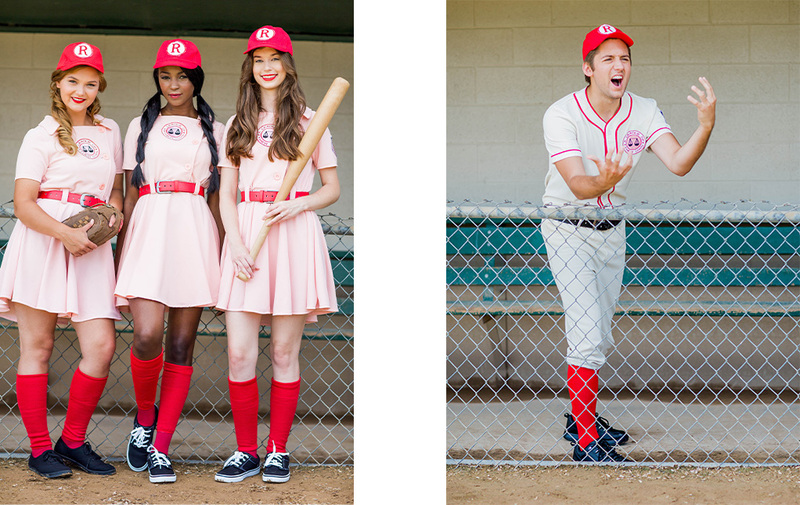 Because these A League of Their Own costumes makes up one of the cutest teams we’ve seen in a while and you're going to want a whole album. You can recruit one person to play Coach Jimmy to remind you all not to cry on the field. Putting together a team of all ages and sizes is a breeze as we have a full range of sizes in the adorable pink uniform. Do you ever worry about the butterfly effect? What kind of things are you affecting in the future? Cause if you really stop and think about it, we're all time traveling, man! 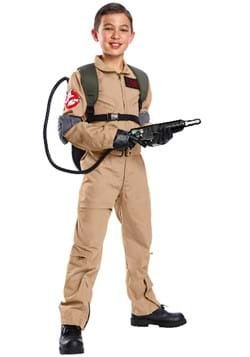 But if you want to stop with the woo-woo thinking and time travel in 1980s style, our licensed Back to the Future costumes are the way to go! Get the whole family involved in dressing up for as your favorite characters from this classic movie! 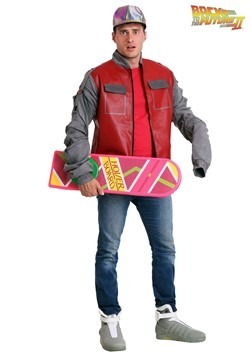 Get the Marty McFly costume and prepare yourself for a ride in the DeLorean. Kids have options, too. They can get nice and goofy as Doc Brown but they can also go out as Marty as well. 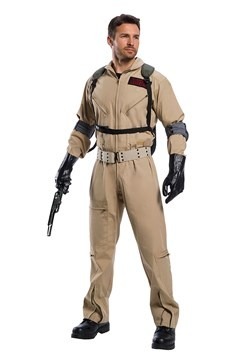 This franchise also offers a couple unique women costumes, they can rock a sweet Jennifer Parker look or Marty’s red puffy vest ensemble. The choice is yours! 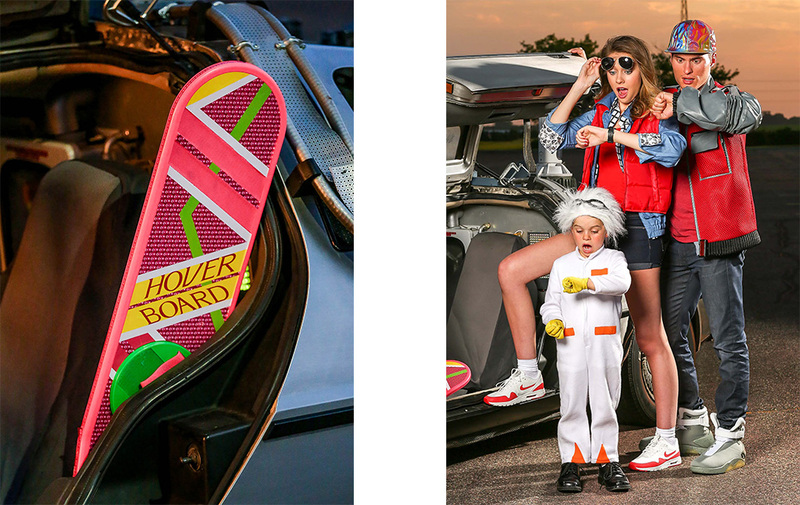 Just don’t forget to pair your look with our exclusive hoverboard! Looking for a tough but classic look? Want to embrace your love of music and dance? 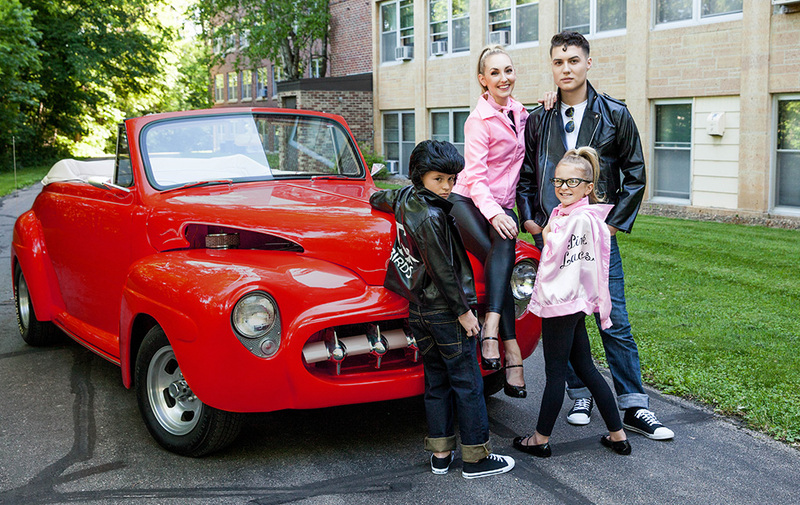 Then our licensed Grease costumes will be right up your alley! Fans of this 1978 hit musical have so many options for their next costumed event. Ladies can slip into the Pink Lady jacket and instantly feel a little more sassy. Want to bring other generations in the mix? 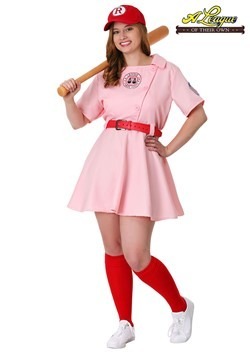 Little girls will love dressing in the Pink Lady costume as well! And of course, T-Birds can be in the mix as well! 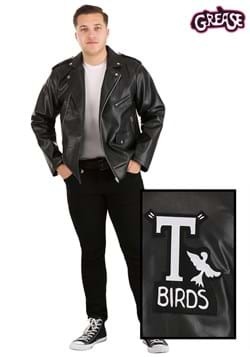 The faux T-Bird leather jacket is instantly cool. 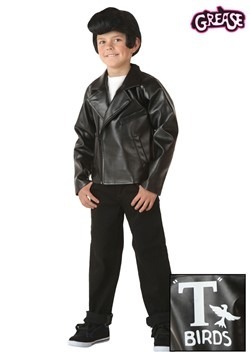 Kids can be cool and collected in the T-Bird costume, too. Now you just gotta find that perfect fifties diner for an impressive selfie background. Have you and your favorite person been whispering about what unique costumes will set up the perfect entrance for your next costumed event? We say whispering because once you come up with the perfect couple's costume, you don't want the neighbors next door stealing your look. Looking at you, Debra! Plenty of classic costumes are featured below, of course, but when you scroll through, you’ll notice that our looks are a higher grade than what you might find at your local Halloween pop-up store. Get together with your main squeeze and slip into looks that’ll set you apart from the crowd. With gorgeous details and flattering fits, you’ll want to wear these costumes for years to come! Do you spend hours plotting your next Caribbean adventure with your significant other? Escaping to a tropical location might not be in the budget right away. No worries, if you dress the part, you’ll be able to imagine an endless ocean horizon in no time. 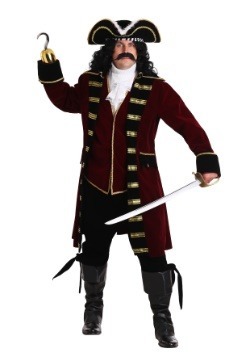 If you want roguish original Halloween costumes this year, our quality pirate ensembles are a great place to start. 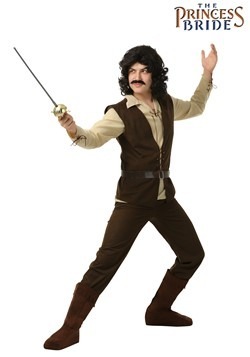 Take the men’s Caribbean pirate costume, for instance. The jacket is rich with detailing and can be worn again and again. Add your own pirates’ accessories like a compass and a captain’s hat, to make it suit your pirate persona. Want a woman’s pirate costume that’s both tough and flattering? You’ll feel right at home in the crow’s nest when you’re rocking a look like our Pirate Flag Gypsy costume. 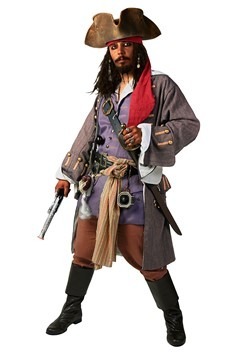 Sleek enough to be fashionable at any party while it’s high-quality allows you to commandeer ships with ease, this costume will be a favorite in your collection! The 1920s was one of the most fashionable decades out there. All those sparkles, pinstripes, and fringe makes for an impressive collection of costumes for partygoers these days. What's better than pulling off the Charleston in a flapper dress? We couldn’t think of anything. Our exclusive 1920s flapper costume is made of a high-quality silky fabric. It’s rich with black fringe that’ll make all your dance moves stand up and say “hello”. Want to add a little edge-of-your-seat drama to your couple’s look? 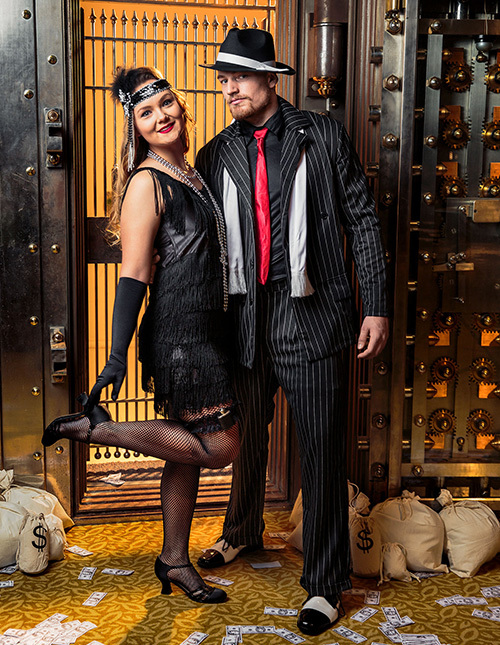 The Mob Boss costume will make people wonder if you're the couple who boot-legged the hooch to the Halloween speakeasy this year. 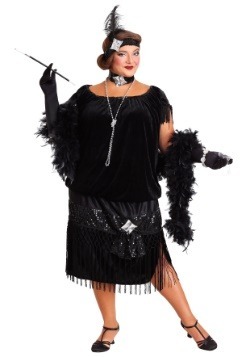 With high-quality fabrics and sleek designs, you'll want to rock these exclusive 20s costumes at all sorts of galas from themed parties to wild Halloween events! Looking for a deep subject for this year's couples costume? Maybe a costume idea that's been buried for a long time? How about calling on your mummies. Oh geez. Sorry, but mummies just call for puns. While those might have been low-quality puns, you can expect high-quality from these exclusive mummy costumes. No more trying to wrap yourself in toilet paper and despairing at the first sign of rain. 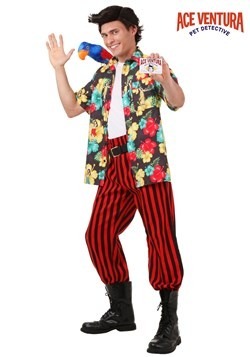 You deserve a costume that’ll stand up to your Halloween celebrations! Our men’s Mummy costume has aged-looking gauze attached to the base. 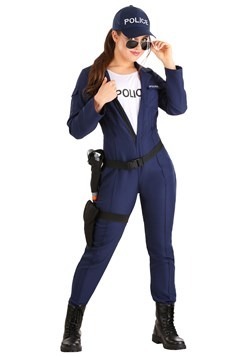 Once you slip into jumpsuit Halloween costumes, you'll love this comfortable style. 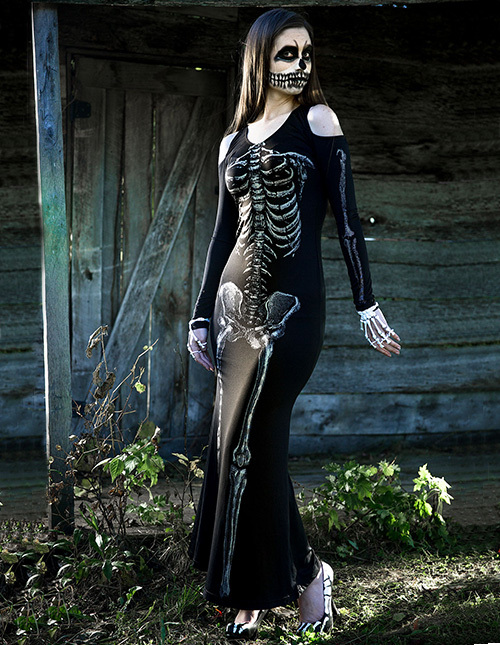 Our gorgeous women's mummy dress is at once spooky and elegant. Pair it with a wild hairstyle like the one pictured above, and you'll have an Instagram-friendly look in an instant. Now if only you could figure out how to cast one of those famous Egyptian curses! Want a couples costume that looks like it's straight out of the storybooks? What better way to go than venturing into the bright and colorful world of the 100 Acre Woods? 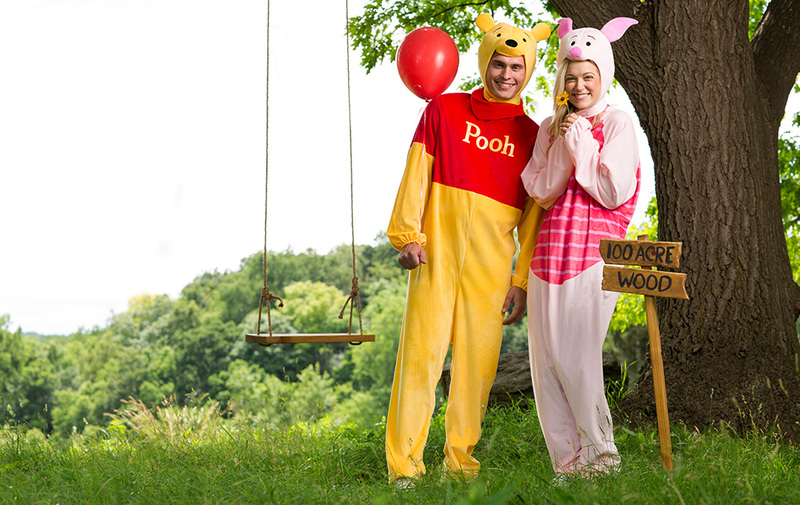 Our licensed exclusive Winnie the Pooh costumes are cozy for cold Halloween nights. Our super soft costumes secure up the back and have uniquely sculpted headpieces. Winnie and Piglet are best friends. Their personalities make them a classic pair. That being said, this makes these characters an excellent couples costume idea for adorable photos. Winnie is a bright red and yellow jumpsuit with a matching hood while our exclusive Piglet has an adorable striped belly and sweet piggy ears. Sometimes a costume party calls for an epic tale! Are you ready to give yourself the royal treatment? Our Made by Us Egyptian costumes are truly a sight to see. Our designers included plenty of gold and draping fabrics to compliment every body type because everyone deserves a chance at the throne. 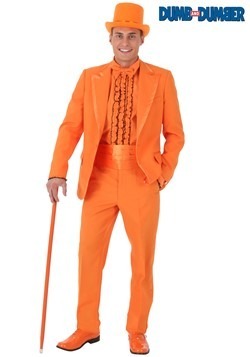 With so many different looks, you and your partner will readily agree on certain costumes. 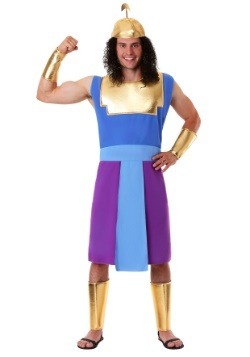 The All-Powerful Pharaoh’s costume is dignified and stunning with details that you wouldn’t find in your department store’s Halloween section. And you can be sure we wouldn’t dream of leaving Cleopatra out of the mix. Amazing drapery, gold accents, and green jewel tones make the All-Powerful Cleopatra costume stand out with jaw-dropping glamour. Polish it off with a high-quality Cleo wig to do it justice. Show the Egyptian roots of these costumes respect with high-quality, intricately designed costumes that’ll really shake up any gathering! Is there anything more freeing than transforming into your favorite character? If you’re heading to a convention, there’s a lot to be excited about. You’ll meet all sorts of creatures from different genres, timelines, and dimensions. 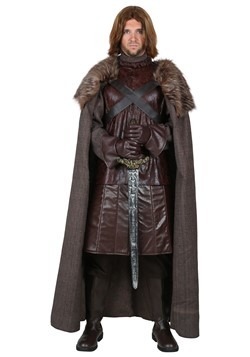 And if you want to have that truly immersive experience, seeking out movie quality costumes will help you out. 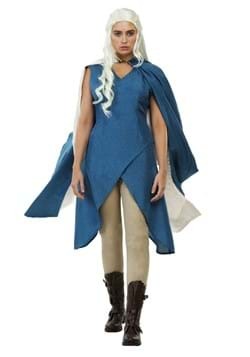 Whether you use our Queen costume as a base for your DIY Game of Thrones costume or you pick out our licensed, high-quality Lagertha Lothbrok costume from Vikings, picking a Made by Us costume will help you gain some serious authenticity. Do you have what it takes to save humanity? What it takes to avenge all those who've got down before, against all the odds? We bet you do! 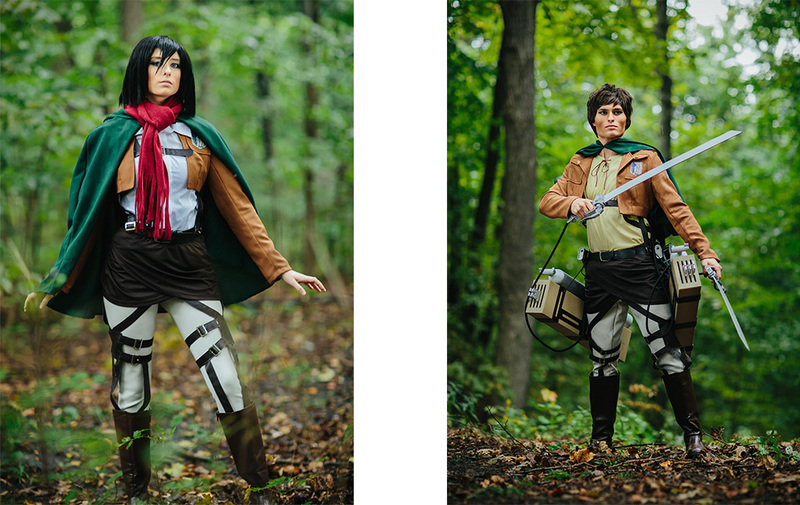 Especially after you slip into our Made by Us licensed Attack on Titan costumes! Choose between the strong and brilliant Mikasa costume or the game-changing and legendary Eren Jaeger Costume. Or you could choose any of the cadets and DIY your own Attack on Titan costume when you purchase the Harness and work your way up from there. It’s time that you take up the mantel and take down some Titans yourself! It won't be a surprise to anyone reading this to discover that we take "baby's first Halloween" very seriously. A great, adorable costume will set off this kid's future Halloween outlook just right! Want a costume that your little one can wear again for an excellent, summery photo shoot? Keep it fresh with something like the strawberry bubble costume. Or you could even get a little scary with our baby Dracula costume! Are you ready to make a decision for your little one’s first Halloween? 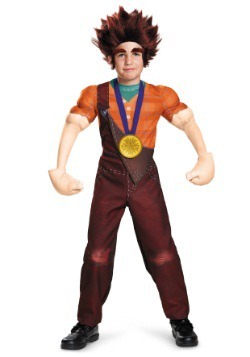 Scroll through the featured looks to find a unique kid costume that’ll make you want to take pic after pic of your costumed kiddo. Does your little one love animals? Does he or she have a lovie that can calm them down when they're breaking into tears? 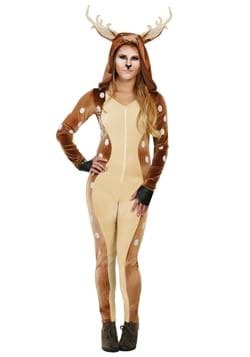 These Made by Us animal costumes are cuddly, timeless, and high-quality. Does your little one have a Teddy that they've had since day one? 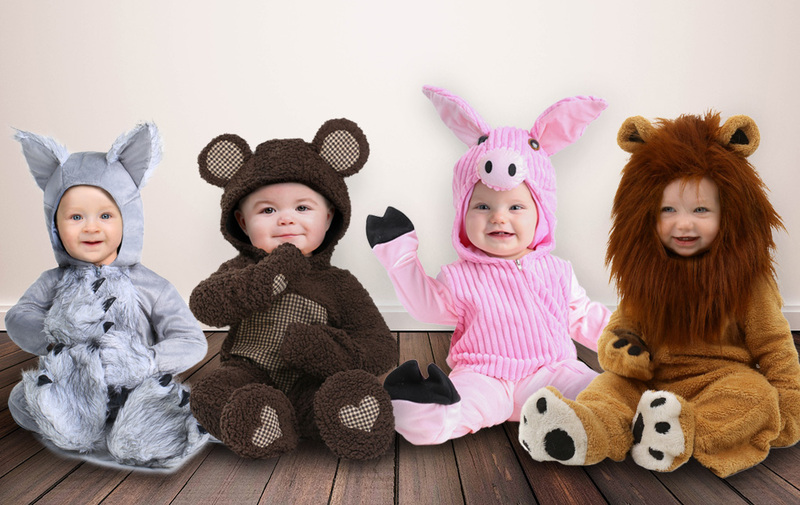 Your baby bear can match their favorite stuffed animal for an irresistibly adorable look. Or maybe life isn't just about cuddles. If your babe's roar can be heard 'round the neighborhood, our high-quality lion costume is sure to be a hit even when Junior is a little over-tired. Putting together a family group costume is truly adorable. Parents and a sibling would have a ton of fun dressing as the three little pigs while the newest member of the family can huff and puff and bring the house down in our infant wolf costume! Whether your baby loves crawling, napping, or howling, there’s an adorable animal for every infant out there! You know your babe's a star. It's about time everyone else caught on! Your little one will be instantly recognizable in any of these high quality, film-ready costumes. Anyone who's looking to give their babe a Wonderland look would love the bright and beautiful Alice costume. Or maybe you want to set up a photo shoot and use Grandpa's classic car as a backdrop. Our infant T-birds costume is quite adorable and tough at the same times. 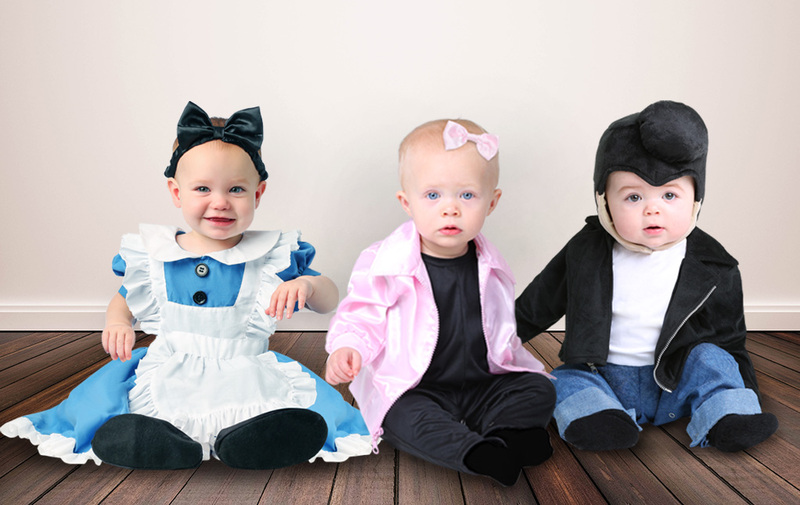 Babies can even pair up with siblings as we also have Pink Ladies costumes for every age out there. Looking to represent the most popular and long-running cartoon of all time? Little Maggie costume will be a hit with anyone who loves the Simpsons! Now that your little one is walking and talking, they’ve got opinions and you’re going to hear them! 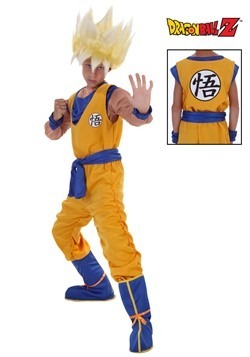 Why buy these kids costumes that are just going to fall apart after one wear? 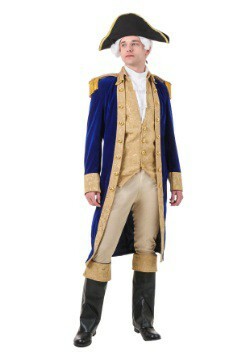 Our exclusive Made by Us costumes are high-quality enough to be worn again and again for playing pretend. So, you can get your kiddos the costume they've been dreaming of, but you won't have to deal with the meltdown that comes when cheap Halloween costumes tear. We think that’s a pretty good deal! These costumes are cute. Scary cute! If your little one can already list species after species of dinosaur even though they were just forming their first sentence like a week ago. 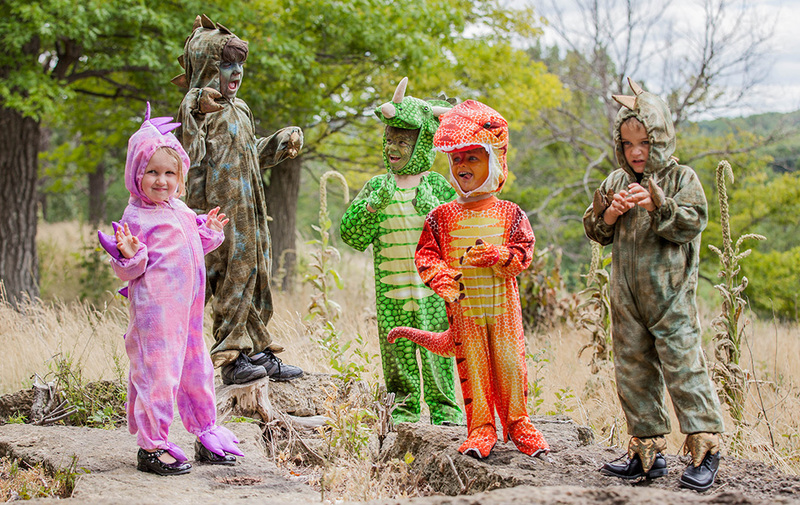 There are comfy dinosaur costumes for every little one out there. All you need to do is choose a dinosaur! Tilly the T-Rex loves destroying block buildings while roaring with glee while the golden spiny stegosaurus is sure to eat his broccoli with gusto as he talks on and on about plant-eaters versus meat-eaters. The velociraptor is sneaky, ready to jump on any stuffed animals for prey. The gorgeous print was illustrated by our graphic designers for an intricate look. Great for kids that love a trip to the science museum and future paleontologists, your kids will want to wear these dinosaur costumes every chance they get! In fairytales, the woods are a scary place. 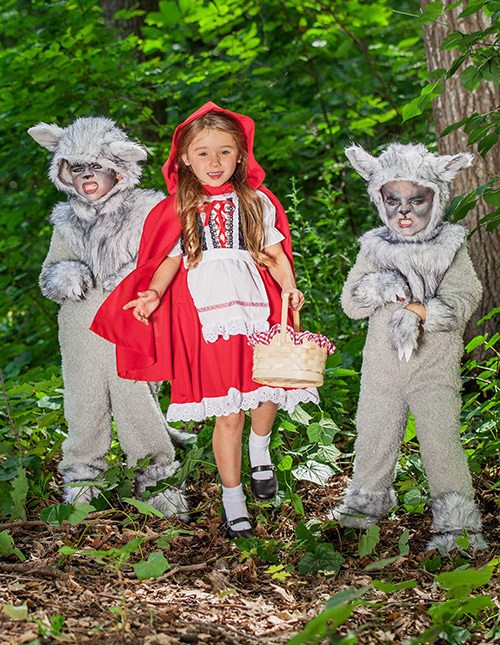 But when your little ones dress up as Little Red Riding Hood and her wolfish adversary, the woods can be the perfect spot for a pre-trick-or-treat photo shoot. Like the rest of our exclusives, these Made by Us costumes can easily be worn more than once. 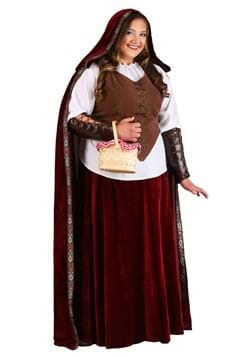 The Red Riding Hood costume has a bright red cape that kids will want to wear for play time. Is there an older sibling in the mix? 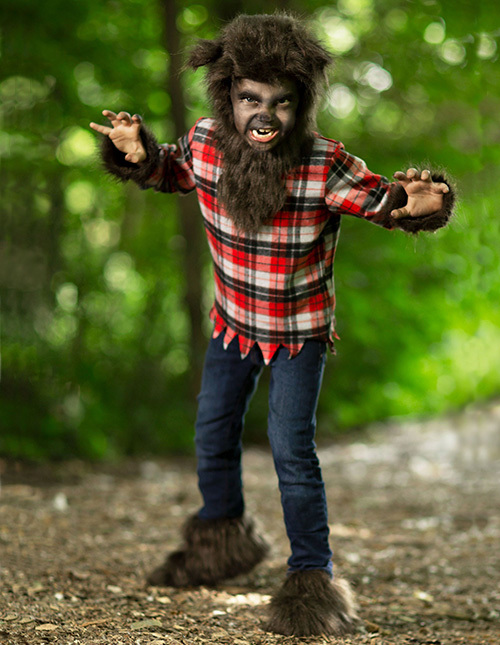 When your older child dresses in our wolf costume, Halloween photos are sure to be a hit! For every little kid who wants to fly around as a superhero wearing a cape, there's a kiddo who wants to grow up and be a home town hero. 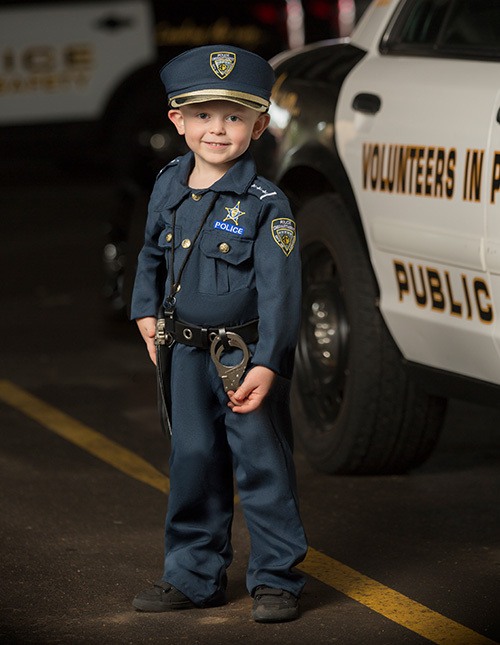 We created our toddler cop costume to look awesome in photos while also withstanding hours of your kid “putting you in jail”. Because we all know who stole the last cookie, no matter how much you protest! Wisdom comes out of the mouth of babes they say. Hrrmmm. Yoda would agree. Yes, Hrrmm. 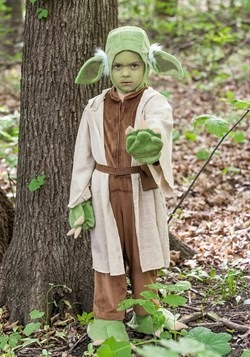 If you think your child is ready to take on the responsibility of training Jedi warriors for the light side, this exclusive Yoda costume is a must! 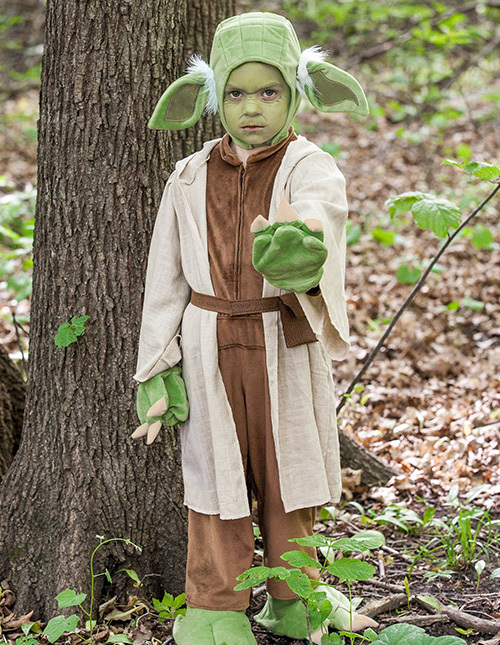 With a hilarious headpiece and comfortable robe, the force will be strong with this costume. Pair it with the rest of the adorable children's Star Wars costumes and you’ll solidify your family’s reputation as Star Wars fans in your neighborhood. Some kids are better at rustling up trouble than others. It’s just a fact! 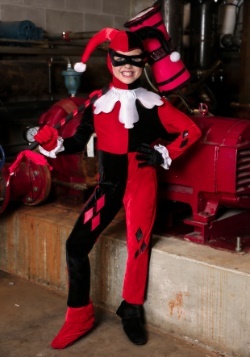 If you’re sick of fighting your little one’s inner rebel let her let loose in this Harley Quinn costume. She can go back to her well-behaved self when Halloween is over. You could even finish off this look with an over-sized inflatable mallet. Now that’s a costume with a whole lot of punch! We know that there are plenty of princess costumes. We get it, there are a lot of little girls who want to be princesses out there. How can anyone resist pink fluff and sparkles? But here's the thing, our designers made sure to design costumes that stand out from the rest. If the little girl in your life is weirdly specific about her costume options, then these are the costumes you’ll want to invest in. 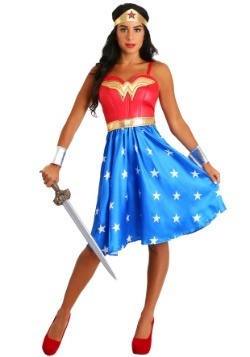 Because our exclusive girl costumes can be worn more than once. All your little girl needs to do is change her crown and attitude to transition from the Grand Queen of the Mountain to the whimsical empress of golden meadows. It’s all about that day’s game of pretend. From tough pirates to a lovely fairy, you’re sure to find the perfect look for that little costume enthusiast in your life. Fairies are the ultimate mysterious creatures. They hold so many different kinds of magical skills that we don’t even know what they’re capable of. Do they make the roses bloom? Do they cause the frost to spread? Your child can tell you all about her unique skills when she’s wearing this gorgeous fairy costume. With a tulle skirt and a shiny bodice, it’s perfect for twirling, dancing, and everything else that comes with playing pretend as a fairy! Have a shy fairy on your hands? She doesn’t have to celebrate her magical nature alone. 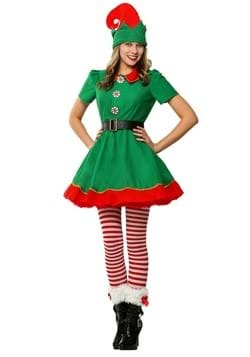 We have unique fairy costumes for adults as well! 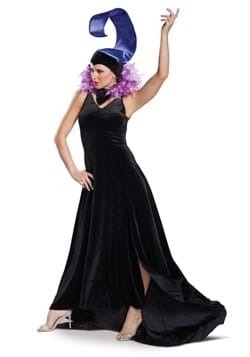 Slip this women's fairy costume on and you and your mystical ward are sure to spread pixie dust everywhere you two go! 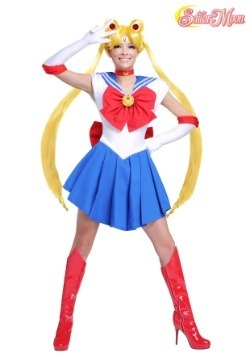 Are you looking for a unique girl costume that will stand out from every other princess costume out there? When our in-house designers put together this lavender princess costume that’s inspired from retro gowns and fairytale illustrations we were all enamored by the billowy sleeves and flaring skirt. 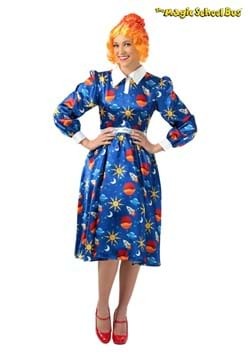 It’s the kind of dress that's perfect for tea parties and princess themed events. Now all your little one has to do is figure out how to perfect her curtsey. How is your kid at talking like a pirate? Is she boss when it comes to using “arrs” and “savvy’s” just right? Even if she’s never ordered anyone to walk the plank, this brown coat pirate costume will make her confident on the high seas. Pair it with pirate accessories and you’ll be ready to take some adorable nautical photo. Does your kiddo make a good archeologist? Ancient Egypt could be a pretty amazing place. But what’s underneath the mysteries of Egypt’s sands? 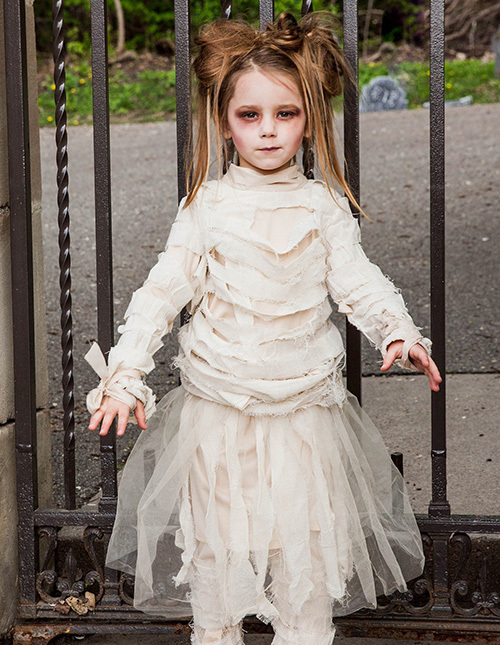 If your kid likes history and doesn’t mind a spooky little flair this Halloween, she’ll love this mummy Halloween costume! The dress has layers of bandage and flairs into a tulle skirt. 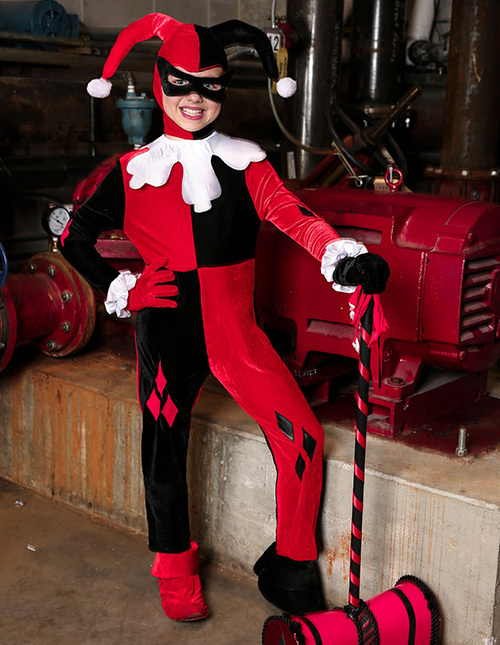 From toddlers to ten-year-olds, this costume is adored by all ages! 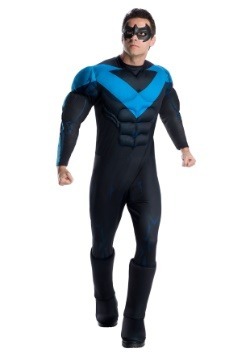 Between superheroes and monsters, it can be hard to find unique boy costumes in your local department store in October. You can be sure to find the right costume that lines up with your kiddo's personality. From Shakespeare to Hercules, we've got you covered! With detailed, high-quality designs, they can be used over the years, making them great for school plays and costumes that'll be passed from sibling to sibling. Why should you have to shell out more for another costume when one unique costume from our exclusive collection will do? 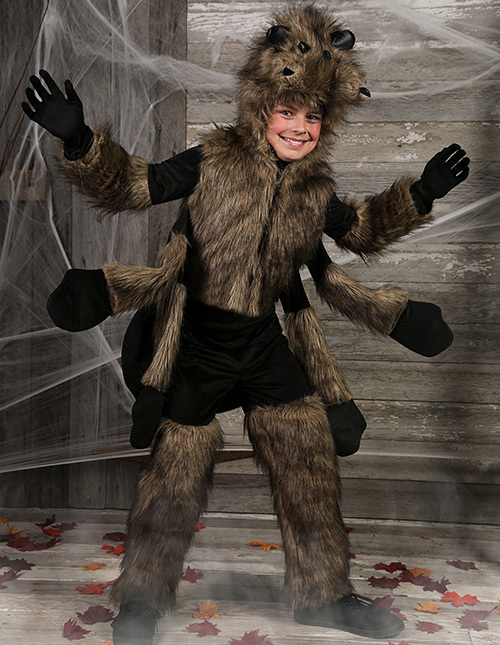 Spread delightful squeals of fear this Halloween with this furry spider costume! The multiple legs move as your kid moves his arms for a hilarious yet horrible image! You can tell our in-house designers had a hand in this look. Little details like the many eyes and fangs on the hood complete this look for the kid that craves extra creep in his life. We’d like to acknowledge that there are a lot of werewolf costumes out there. And now that we’ve cleared the air, let’s hear it for this unique take! This Werewolf costume has fur that looks extra real as we cut the hem of our fur in a way that looks naturally shaggy. Other costumes simply cut their fake fur in a straight line but we always go the extra mile when we see room for improvement. That’s just what happens when you love costumes as much as we do! There are plenty of villains out there. You and your kiddo probably know most of them. 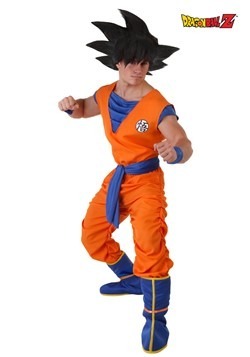 But if you're looking for genuinely unique Halloween costumes for boys, then you came to the right place. Just look at this poor bunny. There's no tender love and care that can revive it. The bunny has… gone bad. 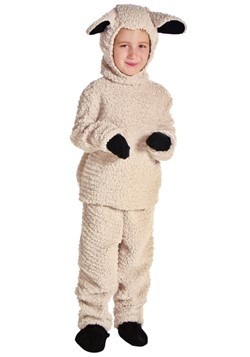 Your kiddo can write their own creepy yet creative backstory when he puts on this strange, lifeless rabbit costume. Magician’s assistant gone wrong? Abandoned stuffed animal? We’ll let him decide! We love a great family group costume. 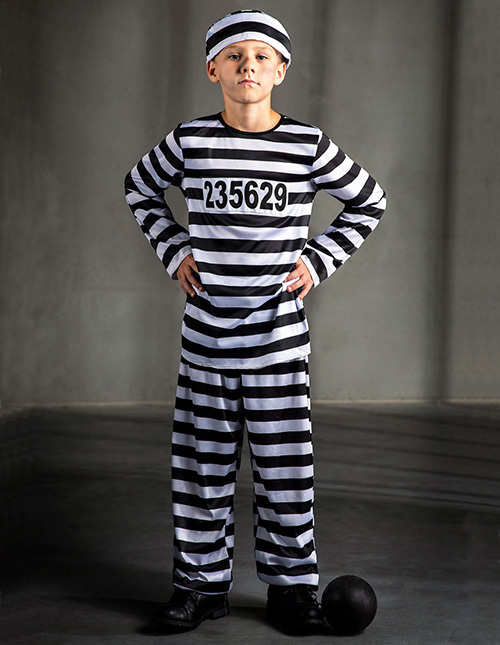 This kids’ prisoner costume works with the rest of our prisoner sizes perfectly so you and your family can match. Now, maybe they haven't seen Oh Brother Where Art Thou but we're sure your kid knows how to look down and out. If not, slipping into these stripes are sure to help them get into character. What are you into? We can bet you’re into movies, music, and characters as the guy sitting in the booth next to you at your local diner. 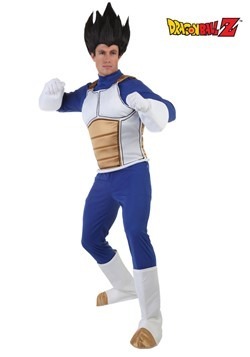 So why should you resort to buying the same costume as this guy? 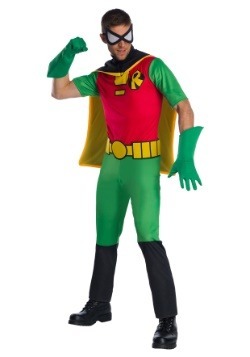 Make a resolution to think ahead and build up a few unique costumes for your very own disguise wardrobe. Because costumes aren’t only for Halloween. There are themed parties and wild costume-friendly holidays to think about! Browse through our Made by Us wigs and masks as well as the full costumes by if you want to be ready to throw together clever Halloween costumes after a last-minute invite next October, our exclusive details will make sure you stand apart from the crowd! There’s only one time of year when you can really let your creep flag fly! Let’s embrace it! We think the most interesting Halloween costumes have a classic, scary edge. This skeleton has plenty of attitude and is the last creature we’d want to see hanging out in our backyard. And if you're going to put together your own unique Halloween costume, check out our creepy skeleton mask or rev up your engine and change things up with our skeleton moto jacket! There’s really a skeleton for everyone! Can we talk about quality Halloween costumes that you can wear again and again? 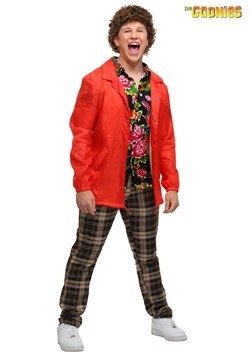 These are costumes that flatter, are well-made, and can be paired with different items of clothing to be worn during a '70s themed workday or Disco-themed birthday party. That’s why our disco dancing men’s costumes are rad. 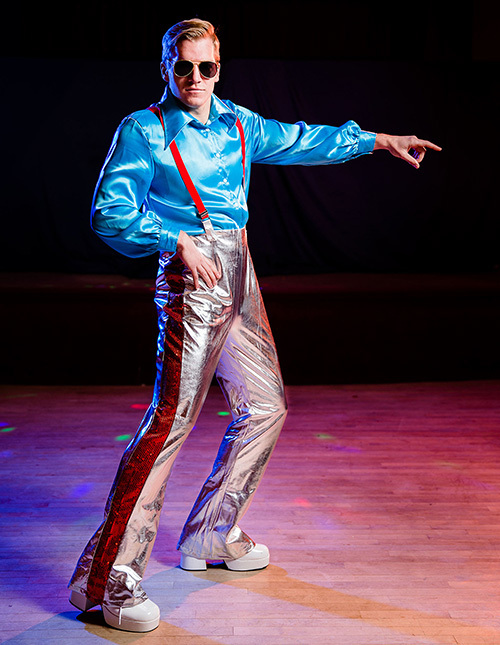 The disco costume above featured has a high-waist, glossy shirt, and fancy-pants suspenders. With a variety of glossy, over the top looks, you could get groovy every day of the week if you so choose! Oh Geez, you were bound to get caught sooner or later. 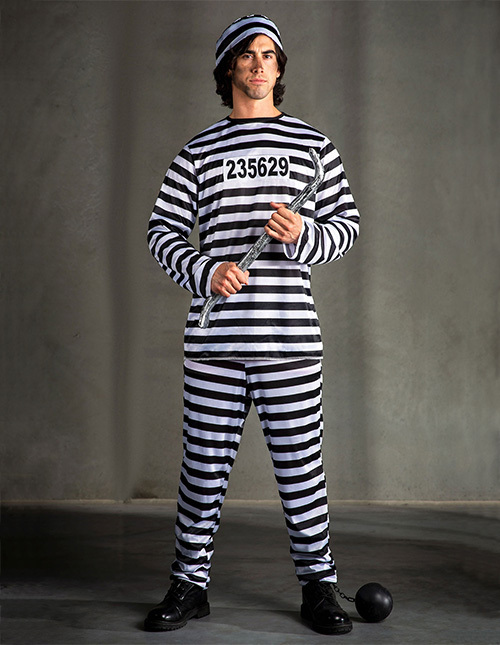 Now that you're busted, at least you've got a quality prisoner costume that you can do the jailhouse rock in! The nice thing is, your group costume can include everyone. Men, woman, children, and even babies can dabble in that Hoosegow lifestyle. Just dive into our prisoner costume collection and you’ll find the perfect looks to form your very own escape plan. Are you ready to get in touch with your blood-sucking side? The thing is, if you want to get away with your new blood-sucking persona, you've got to be elegant as well! 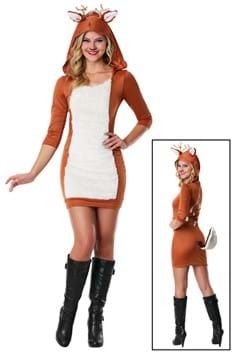 Our high-quality, well-detailed designs make for a unique adult Halloween costume that’s sure to stand out in the crowd. 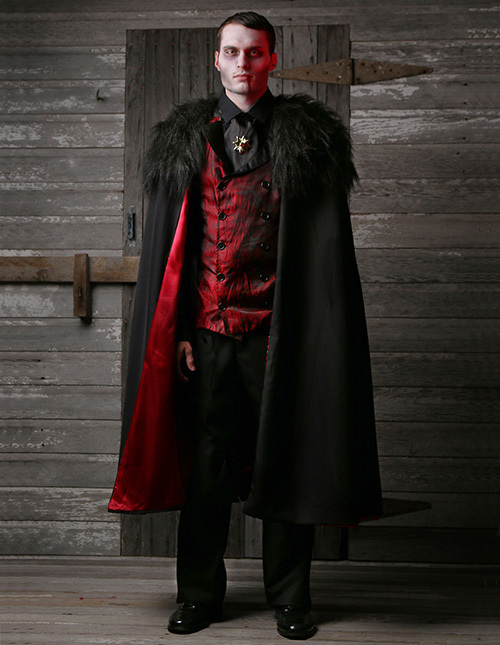 This deluxe vampire costume is no exception. It features a fabulous faux fur trimmed cape and a hoity-toity satin-textured vest. 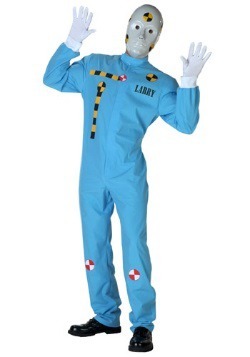 If you’re going to start a blood collection, this costume should be your standard recruiting uniform! Believe it or not, it was difficult to choose the exclusive costumes that we should feature in this section. After all, there are just so many good ones to choose from! From a range of historical looks to a sleek and dangerous ninja costume, we love all of our unique women’s costumes. Our designers have been costume-enthusiasts since the beginning. They know what’s been missing from Halloween costumes all these years. They’ve worked all sorts of details into our Made by Us costumes. From adjustable lacing in corset costumes, actual pockets for your cell or credit cards, and even a prop purse to keep your look together, we’re making sure that you have one of the happiest Halloweens! Want a macabre yet elegant look? 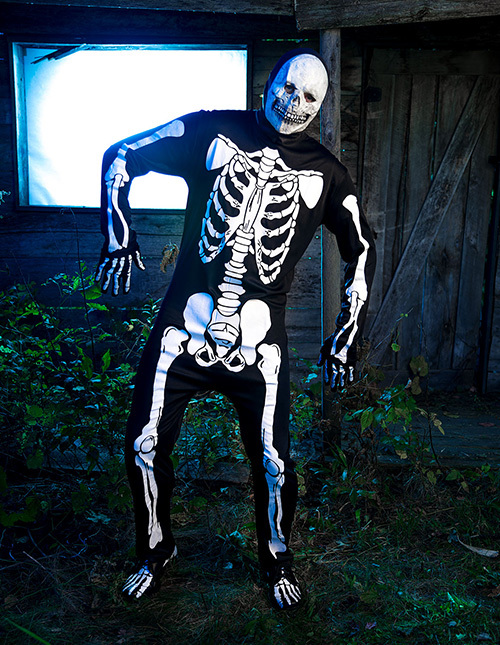 Our women's skeleton costume is gorgeous, perfect for both Day of the Dead events or a Halloween office party. This look has a balance of sheer black material with sparkly white bones to make sure you’re having fun. Our skeleton costumes can be paired with skeleton high heels or a flower crown for your Día de Los Muertos ensemble! Take it as far as you want. After all, the most macabre season only happens once a year, might as well celebrate in style! Everyone’s sure to serve up some serious R.E.S.P.E.C.T. when you rock our glamorous disco costumes. The featured purple maxi gown is a real stunner. You’ll feel ready to pull off some serious moves as soon as you slip into it. Of course, we have plenty of sparkly seventies costumes to make your Disco themed bachelorette party really pop! Scroll on through and watch as all the gals in your group get groovier and groovier. Oh boy. You’re in the clink! That’s rough. This is going to be a tough Halloween. At least you’ve got an awesome costume! 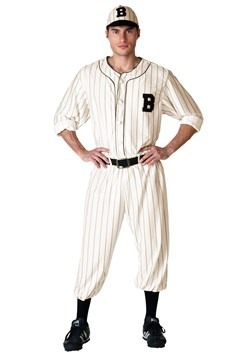 With black and white stripes and a number on your chest, you’re sure to look timeless. You can even recruit your friends or family to escape with you. 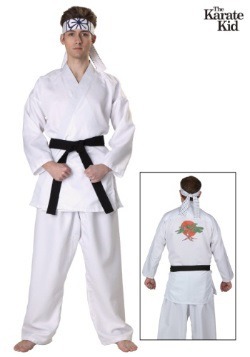 This costume comes in a full range of sizes to make it easy to build the perfect group look. You might just be out in time to go trick-or-treating! Our minds were blown when we first saw Wonder Woman. She had everything. 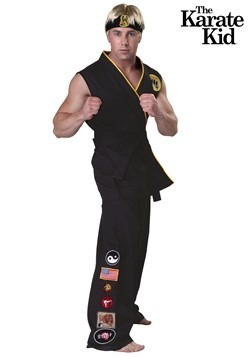 A sense of confidence, a sharp wit, and an endless arsenal of fighting moves. What more could we ask? Well, we did ask for more. We asked for a top-notch cosplay-level Wonder Woman costume. And you know what? We got it. 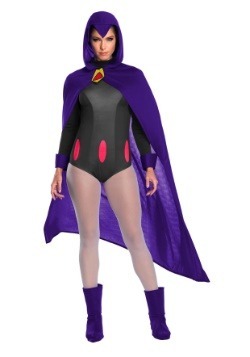 Heroes like you deserve to treat themselves with high-quality Halloween costumes like this one! With gorgeous fitted leggings and a structured yet comfortable bustier, you'll feel ready to take on the world, and maybe the god of war as well! Want a little more '90s nostalgia in your life? Channel Clueless with our licensed Cher and Dee costumes. Don't bug out trying to find the perfect costume to dress up as with your best friend. This is an obvious go to! Can't stay out of other people's bee's wax? Then you're an obvious Cher. Are you the boss when it comes to fashion, always on the cutting edge of style? Dee might be right up your alley. You could even roll with the homies when you find yet another friend to dress up as Tai. Who said we can’t get back to that nineties charm?